ORLANDO, Florida (CNN) -- Caylee Anthony's remains have been released but won't be at Tuesday's public memorial service for the slain toddler, an attorney for the family said. 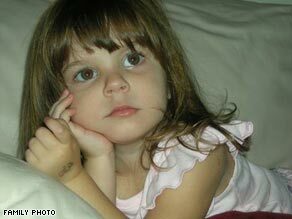 Caylee Anthony, 2, was missing for six months before her remains were found. The remains had been kept for forensic tests since they were found in early December in woods about a mile from the home of the slain child's grandparents in Orlando, Florida. Caylee had been missing for about six months before the discovery. The remains are at the Bryant Funeral and Cremation Chapel in Orlando. The toddler's grandparents, George and Cindy Anthony, have not yet decided when Caylee's private funeral and burial will take place, according to family attorney Brad Conway. The public memorial service is scheduled to begin Tuesday at 10 a.m. at the First Baptist Church of Orlando, the city's largest mega-church. Her grandparents are expected to attend, Conway said. The memorial, which is expected to draw a large crowd, will be under tight security. Officers will be provided by private firms and the Orange County Sheriff's office, and private donors will pay for them, officials said. The mega-church has studio television cameras and lighting and holds 5,000 people. The seating wraps 180 degrees around its center stage. Mourners will be required to pass through metal detectors, and will not be permitted to carry bags into the church. Conway said the family will block some people from attending the service. "They know who they are, they will be respectively turned away," he said. A large makeshift memorial, with teddy bears, candles and balloons, continues to draw the curious to the site where a meter reader found the remains. Caylee's body was in a laundry bag wrapped in a plastic trash bag, and her skull was wrapped in duct tape, according to police documents.